Mike is a busy boy! 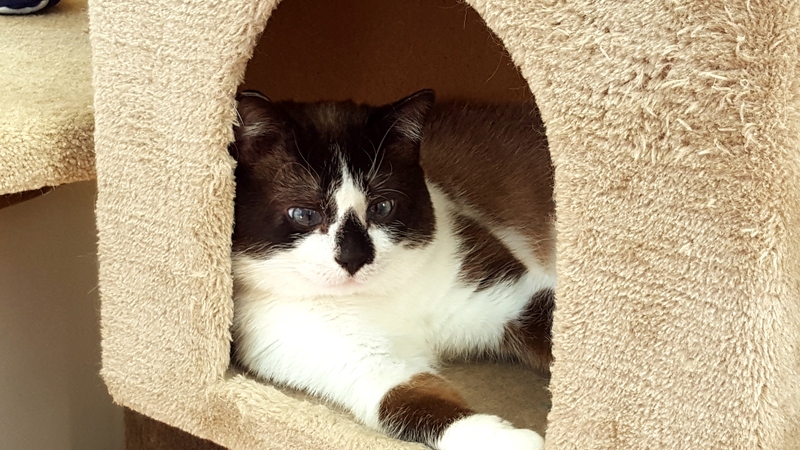 This super-friendly male snowshoe is very comfortable around other cats and loves to make friends. He is curious and playful, but still loves to get cuddles from the Rescue volunteers. Mike would do well in most homes, but preferably one without small children. If you would like to meet Mike, you can visit him at our store location at 38 Barberry Road.